Karachi : Shahid Hussain and Ali Sajjad Embrace Shahadat-Namaz-e-Janaza after Maghrebain. Hashim Rizvi , a gold medalist of applied physics from KU, who was injured in yesterday's incident embraced shahadat succumbing to his injuries at a local hospital. Shaheed's namaz-e-janaza was held shortly after namaz-e-zohrain today at Ancholi society and burial is scheduled to take place at wadi-e-Hussain graveyard along superhighway. 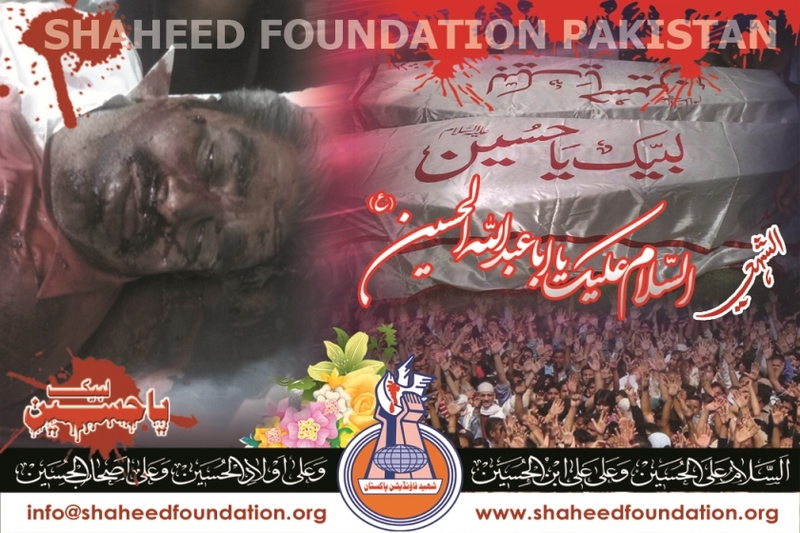 Please recite a fateha for Shaheed Hashim and Shohada-e-Millat-e-Jaffaria Pakistan. Two momineen identified as being father and son Shahid Hussain Son of Nisar Hussain and Ali Sajjad Son of Shahid Hussain embraced shahadat while another momin Hashim Rizvi sustained injuries when yazidi terrorists sprayed them with bullets near Shafiq Morh ,it was learnt shortly. The three momineen were going back on a bike after offering prayers in the nearby Bab-un-Najaf Masjid at Buffer Zone,when the incident took place. Hashim has been shifted to hospital in critical condition . The bodies of martyrs Shahid Hussain and Ali Sajjad have been shifted to Masjid-e-Khair ul Amal ancholi where their namaz-e-janaza is to be held shortly after maghrebain prayers tonight. Momineen are requested to pray for early recovery of Hashim Rizvi and other injured momineen. Momineen are also requested to offer fateha for Shaheed Shahid ,Shaheed Ali Sajjad and Shohada-e-Millat-e-Jaffaria Pakistan. Labbayk Labbayk Labbayk Ya HUSSAIN [AS]!